Elegant design in nature. 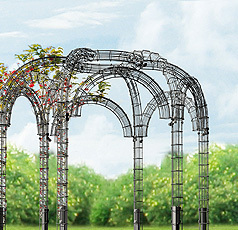 Unique and elegant designs for a special flair in your dream garden or as an oasis of peace in parks. Exclusive design, diverse design options. Whether an access balcony, terrace covering or carport. Each of your needs is perfectly met. 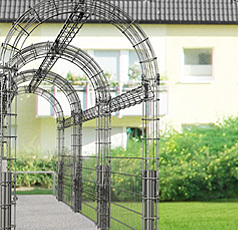 LEGI trellises in a fascinating variety. 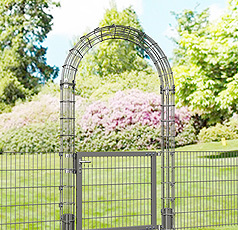 Unusual solutions and unlimited possibilities are a feature of the LEGI FLOR trellises. Functionality connected with naturalness. 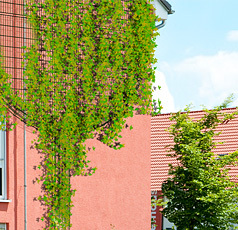 With the LEGI wall greening, green areas are created in harmonious addition to your house front.